Hempstead, New York, USA. April 4, 2016. 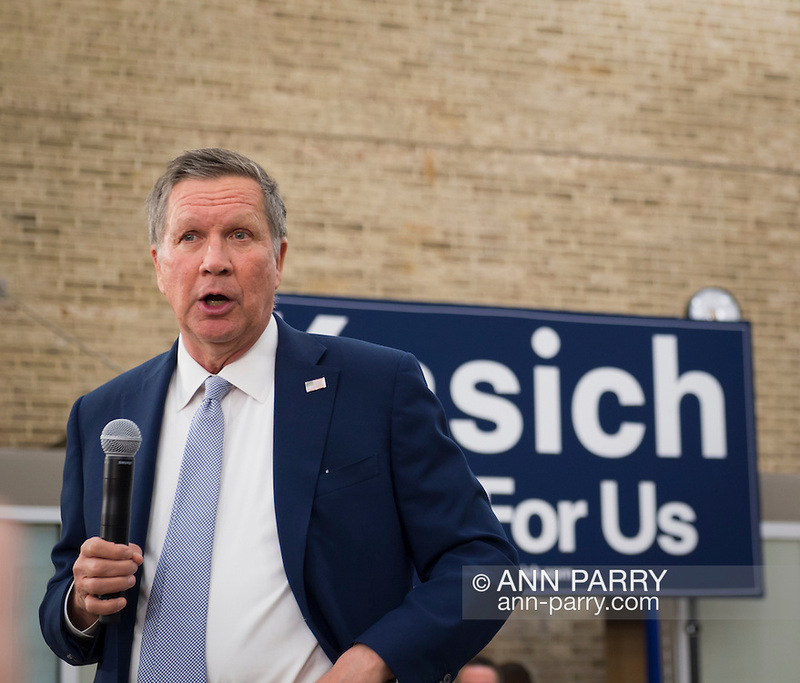 JOHN KASICH, Republican presidential candidate and governor of Ohio, speaks at the Town Hall he hosts at Hofstra University David Mack Student Center in Long Island. The New York primary is April 19, and Kasich is the first of the three GOP presidential candidates to campaign in Nassau and Suffolk Counties, and is in third place in number of delegates won.